Dear EFL Blogging School Participants - in this section of the blog we will be posting post program results. 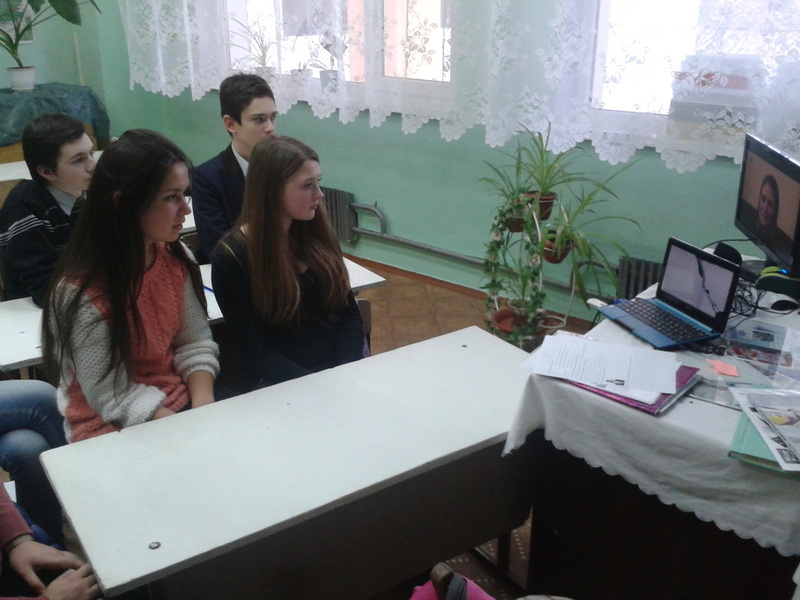 On November the 19 th, 2014, a group of 9 th grade students from "M.Eminescu " Lyceum, Cahul, were taught some extraordinary facts about American lifestyle by EFL Blogging School mentor Ann C. Cambpell. First, Ann introduced herself and welcomed the sudents who were excited to meet and discuss with a native speaker. Then the sudents introduced themselves, their school, home city and spoke about their families. They came up with some challenging questions about American Culture, American school life, sports in the US, popular hobbies. Some sudents were interested in finding out information about Ann's life: starting with her childhood dreams and finishing with her professional career. 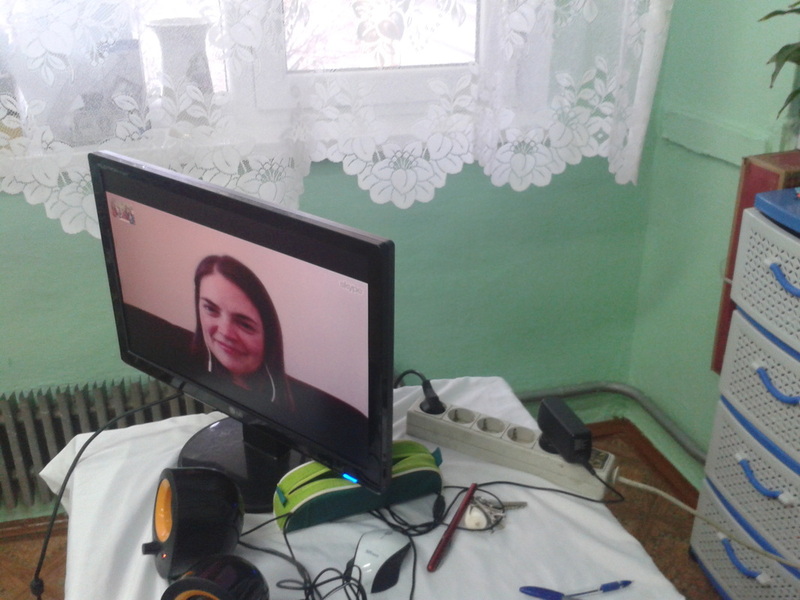 It was a nice exchange of experiences between Modovan sudents and their online American mentor. More than that, the students were proud of their English speaking skills, which motivated them to overcome the difficulties while speaking a foreign language. We want to express our gratitude to Ann C. Cambpell for being receptive and respectful with my students.Despite of the fact she was busy with her job in Georgia, and her bad Internet connection, she dedicated 45 m to improve my students communicative skills in English by sharing har experience in a democratic atmosphere. One of the project online mentors, Tamara Sine, is not only keeping in touch with her mentee, Veronica Cazacu, after the project was over, but also found time to travel to Falesti at the end of February and meet Veronica's students in person. 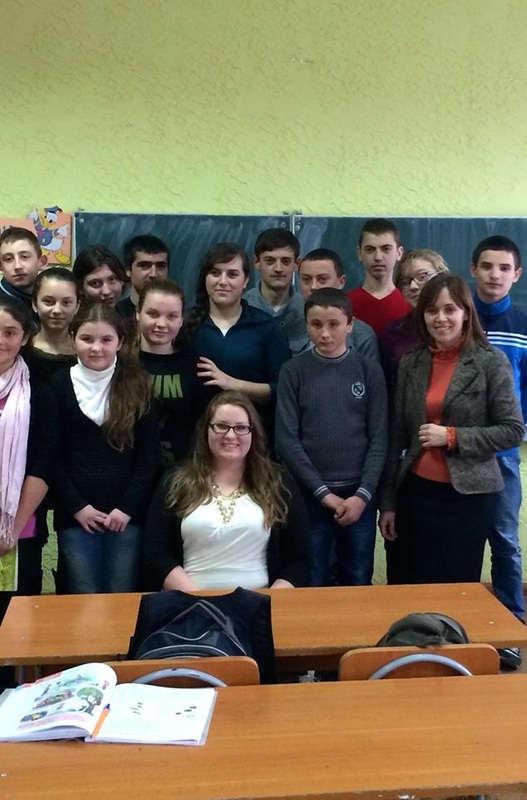 "This week, I was blessed to have the opportunity to travel to the northern part of Moldova to visit with the class of a Moldovan EFL teacher that I mentor online. I learned a lot about the students' lives in the village of Chetris (near Falesti). Their small school was originally constructed in 1904, and has a population of 160 students. This overcrowding means that half of the students attend day school and the other half arrive in the evening for their lessons. Despite humble means, I received the warmest of welcomes and had a wonderful time providing answers to American cultural queries the students had. We played a lively game of USA Jeopardy, and the students also had the chance to learn about the diverse states of the U.S., and the even more varied people who live in them through a presentation I gave based on their expressed interests. 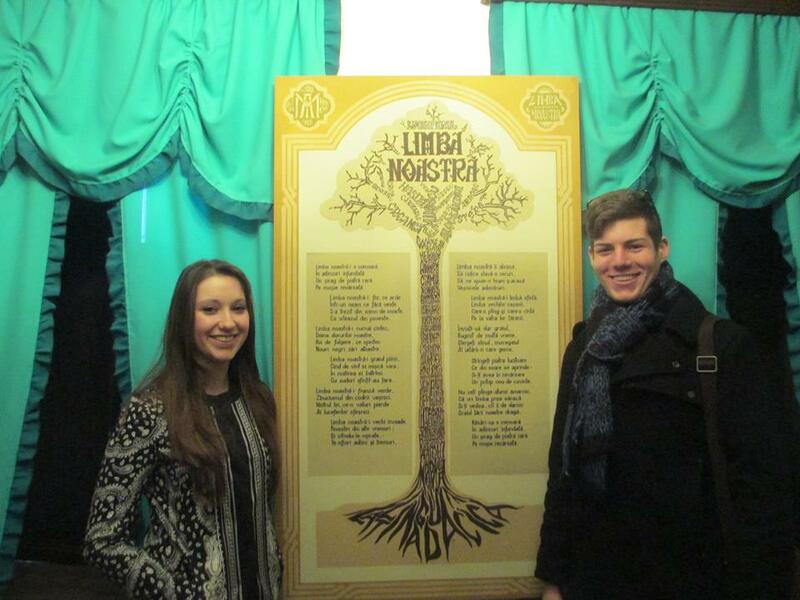 It was a beautiful experience that I can add to my journey as a Fulbrighter in Moldova, and one that I will not soon forget!" 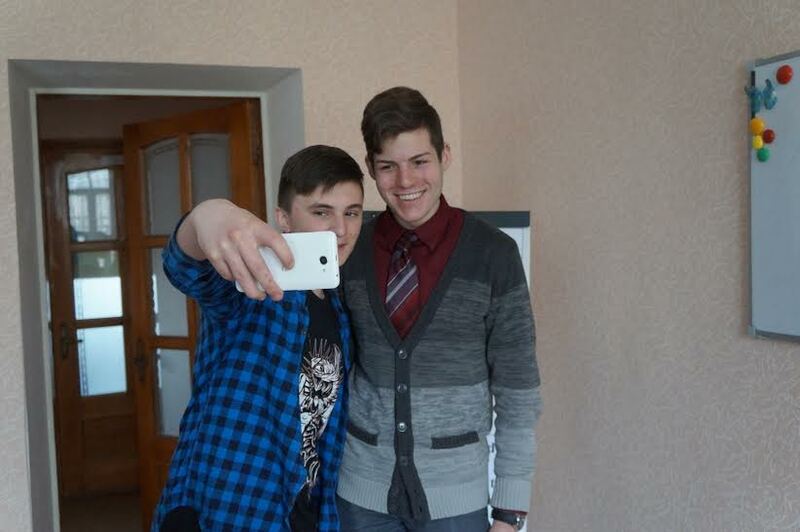 Project mentor Nicholas Cicchinelli travelled to Causeni to meet his mentees face to face. EFL Blogging School alumna Natalia Schneider put together a full 2 day long program which included town sightseeing, fishing, visiting local museums and of course participating in English school lessons. "I really enjoyed my visit to Causeni. 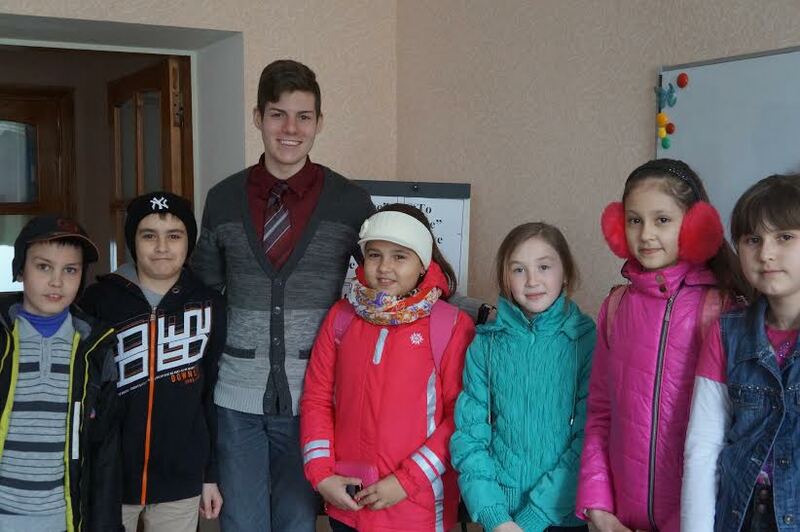 It was a privilege to have the opportunity to meet my project partner, Natalia, and her students in person! They showed me wonderful hospitality and generously took time from their busy schedules to show me around their city. 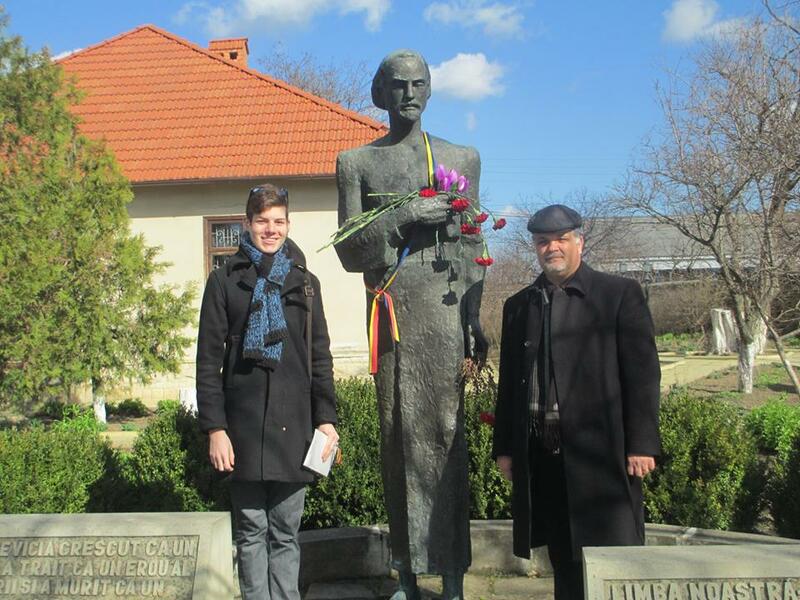 As I live in Edinet, in the north, it was very interesting for me to see another city and to learn more about Moldova's history and culture. I particularly enjoyed the tour of the museum, dedicated to the poet Mateevici, and the fishing excursion. The students impressed me with their English skills and I hope that my visit will encourage them to keep up the good work! They are lucky to have a teacher as enthusiastic and dedicated as Natalia."